Professor Richard Oliver is John Curtin Distinguished Professor in the Centre for Crop Disease Management at Curtin University, Australia. Amongst other honours, Professor Oliver is an Honorary Fellow of the National Institute of Agricultural Botany (NIAB), Honorary Professor at Exeter and Nottingham Universities and was previously a Fellow at Rothamsted Research in the UK and a Visiting Professor at Wageningen University, The Netherlands. He is also a past President of the British Society for Plant Pathology. Diseases remain a serious problem in wheat and barley cultivation. It has been estimated that around 20% of global crop production is lost to diseases. Leading fungal diseases affecting wheat and barley include rusts, Septoria blotches, powdery mildew, tan spot, spot blotch, net blotch, scald and Fusarium species. Conventional control using fungicides faces a number of challenges such as increasing regulation and the spread of fungicide resistance. This collection sums up the wealth of research addressing this challenge. Part 1 reviews the latest research on understanding the main fungal diseases of cereals. 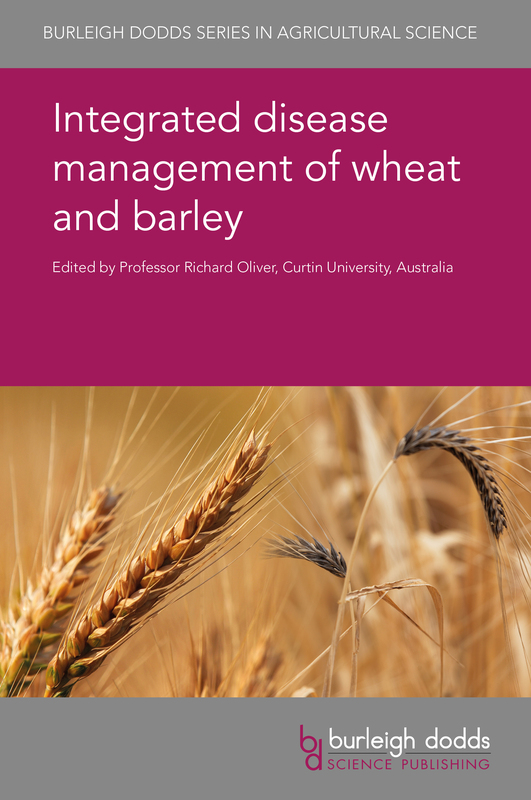 Part 2 discusses key challenges in integrated disease management of wheat and barley. These challenges include developing new fungicides, the problem of fungicide resistance, breeding disease-resistance varieties, improving disease identification and the use of natural antifungal compounds. With its distinguished editor and international team of expert authors, this will be a standard reference for cereal scientists in universities, government and other research centres and companies involved in wheat cultivation. "This is an impressive compilation of up-to-date information on fungal diseases of wheat and barley and their management. This volume is destined to become a key reference work for anyone keen to learn more about fungal diseases of these two major crops, and the latest options for limiting their impact worldwide." Professor John Lucas, formerly Head of Plant Pathology at Rothamsted Research, UK; and Honorary Professor of Molecular Plant Pathology at the University of Nottingham, UK.